Mango leaf tea is an effective measure against early diabetes. Charred and crushed leaves act as a styptic. The young leaves are also cooked as a vegetable in certain parts of the world. The leaves are used as a treatment for many ailments such as hypertension, dysentery etc. Almost all plants used in Hindu religious ceremonies are also of great medicinal value, from Tulsii, to bael patra, to neem all have multiple health benefits and are used in treatment of various diseases. However not many people are aware of the health benefits of mango leaves. Mango leaves are rich in nutrients and the tender leaves contain high levels of phenolic compounds and flavonoids. Ayurveda has described multiple ailments where mango leaves can be used as a treatment. Tender mango leaves which are still slightly purple/pink in colour are rich in tannins called anthocyanidins. These compounds are the pigments which provide the leaf it’s darker hue and are very effective for treating early diabetes. Dried leaves are crushed into a fine powder and then boiled in water to prepare a tea. 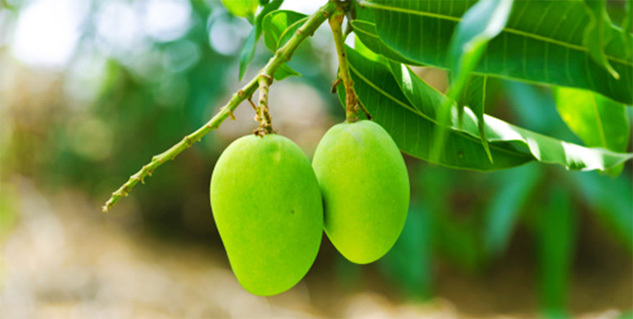 Mango leaves have hypotensive properties and hence they help lower blood pressure in patients with hypertension. Mango leaf tea can be taken few times a day for upto three weeks to help lower the blood pressure. In India, mango leaves are traditionally used to help a person recover from dysentery. The leaves are specifically dried in shade, away from sunlight and then crushed into a fine powder. This powder is then taken couple of times a day as a treatment. The tender leaves of mango are high in nutritional value. They are rich in vitamins A, B and C and also in antioxidants. The leaves also contain papin, an enzyme otherwise found in papaya fruit. Mature mango leaves are charred and crushed to turn into a paste which can be used to remove warts. This paste can also be used to stop blood flow from wounds. An infusion of mango leaves when sipped slowly is said to create a calming effect. Since mango leaves also have hypotensive properties, they are great to reduce anxiety and help people who are suffering from anxiety attacks. Mango leaf tea is also used to break down and remove kidney and gall stones. Dried leaf powder has to be taken with a glass of water as a remedy for stones. Mango leaves have great benefits and can help you in a number of ways, but it is important to ensure that you are not allergic to any of the compounds present in the tea. Also make sure that the leaves used to prepare your tree do not have traces of latex from mango tree as it can make you sick or even cause burns to skin which comes in its contact.